It’s almost the 1st of December and that means it’s only less than a month away from Christmas. This is the first of my Christmas gift guides this year. I am planning to have at least 3 more. 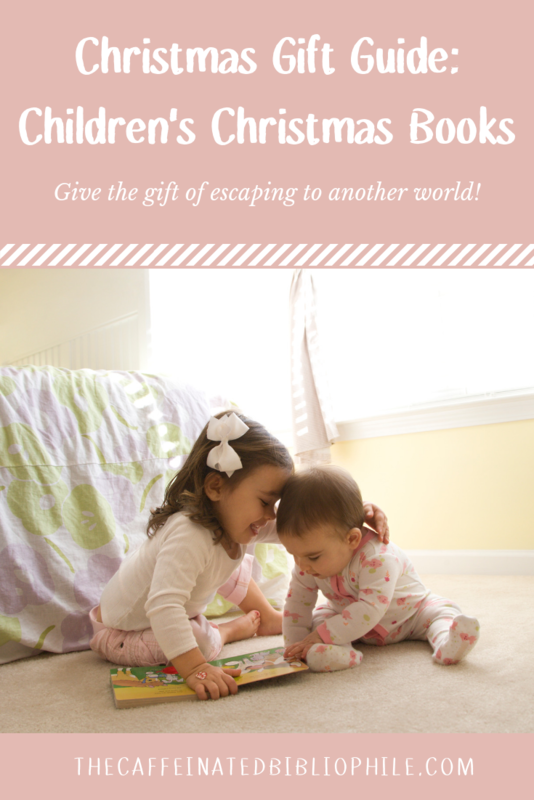 This gift guide goes over Christmas books for children. I just love giving books as gifts - no matter the age! Giving the gift of reading is such a beautiful and memorable gift. Especially when they are centered around Christ. Most of these books are Christian themed while some are more symbolic. I would say that most of these books are meant for ages 3-8. *Just click on the image of the book below to be taken to Amazon to read the synopsis and purchase if desired to. All these covers are just making me smile! They are all just so adorable! I love all the artwork. I think any of these would make wonderful gifts. Do you remember reading any specific books during your childhood? Share in the comments! Happy Monday! I hope you all had a wonderful holiday! I can’t believe this Saturday will be the 1st of December. Getting so close to Christmas! Today, I am going over Christian Biographies. 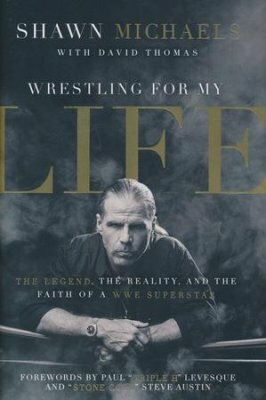 I really enjoy reading a good biography from time to time. They provide inspiration to keep going and hold onto my faith. I also think when we hear of people we may know (celebrities, athletes, etc.) and their journey to Christ and how they struggled in the past, it can help us realize that they are just like us. They sin, struggle at times, and have personal relationship problems- just like us in our life. Being rich and famous does not save us from sin and despair. These books can help us realize that Christ is the answer. The answer to a life filled with love and freedom. Fearless is the story of a man of extremes, whose courage and determination were fueled by faith, family, and the love of a woman. It’s about a man who waged a war against his own worst impulses, including drug addiction, and persevered to reach the top tier of the U.S. military. 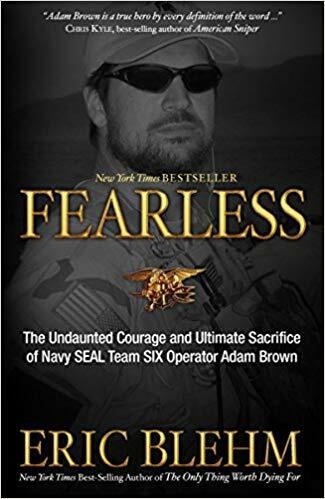 In a deeply personal and absorbing chronicle, Fearless reveals a glimpse inside the SEAL Team SIX brotherhood, and presents an indelible portrait of a highly trained warrior whose final act of bravery led to the ultimate sacrifice. Adam Brown was a devoted man who was an unlikely hero but a true warrior, described by all who knew him as…fearless. In this New York Times bestselling memoir, Ray Lewis—legendary Baltimore Ravens linebacker and one of the greatest defensive players of his generation—holds nothing back on the state of football as well as his troubled childhood, his rise to athletic greatness, the storm that threatened to ruin his NFL career, and the devastating injury that nearly cost him a final moment of glory. Ray Lewis is undeniably one of the biggest names in football—not only for his seventeen years in the NFL, but also for the dramatic events that nearly brought his career to a halt in 2000. In his memoir, Lewis shares honest accounts of his difficult childhood and delves into the anguish and controversy that he found away from the game. But these heartbreaks gave him the courage to trust in God and continue his dream to play for the NFL and win the Super Bowl. From a rookie player to a football veteran, Lewis has experienced everything imaginable during his football career, and has become one of the best defensive players in the history of the NFL. I Feel Like Going On is the story of his incredible journey, and a sincere look at the most popular sport in America from one of football’s most revered players. This is the story of one man's journey to faith and freedom. I hope this has provided inspiration for your Monday! 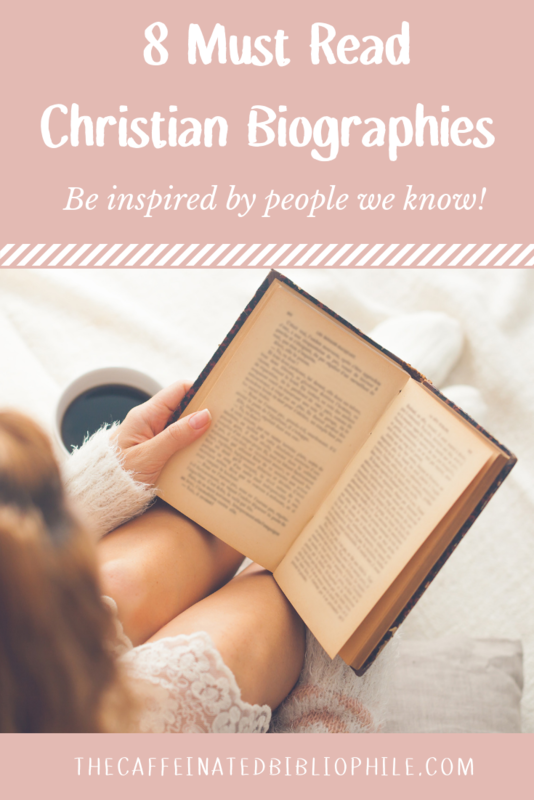 Have you read any Biographies? If so, which one’s are your favorite? Share in the comments! With this opening sentence, A Voice in the Wind transports readers back to Jerusalem during the first Jewish-Roman War, some seventy years after the death of Christ. Following the prides and passions of a group of Jews, Romans and Barbarians living at the time of the siege, the narrative is centered on an ill-fated romance between a steadfast slave girl, Hadassah, and Marcus, the brother of her owner and a handsome aristocrat. After surviving the massacre of her family and the destruction of Jerusalem by the Romans, Hadassah is captured and sold to a well-to-do merchant’s family. Brought to Rome, she is pressed into service as a personal slave to hedonistic Julia Valerian. 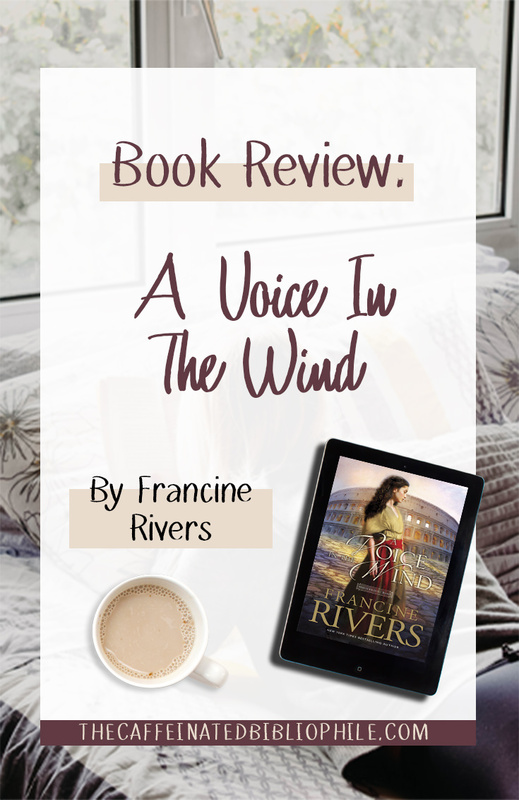 Hadassah struggles to walk in the footsteps of Jesus and to treat her masters in a manner in keeping with His teachings, but she is forced to keep her religious identity a secret in order to survive. Confused and alone, she has only her faith to cling to as she tries to subtly bring God into the lives of her captors. Reckless, impulsive, and villainous, Julia tries to undermine Hadassah at every turn. But Julia’s brother, Marcus, is a different sort altogether. Is it possible for a love between Hadassah and Marcus to flourish considering not only their differing stations in life, but also the gap between Hadassah’s unrelenting faith and Marcus’ lack of belief in anything? Simultaneously, Atretes, a captured soldier from Germania, is forced to become a gladiator. This is the time of Rome’s decline and the decadence of a civilization on the verge of self-destruction serves as a powerful backdrop to the Barbarian’s struggle for survival in the arena. I purchased the box set of this series (Mark of the Lion series) at the beginning of the year. I don’t know why it’s taken me so long to dive into this series. It’s a Christian classic as I have heard. I finally had time in my calendar to read the first book in this series! 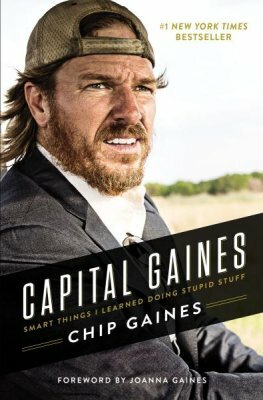 Within the first few pages I was asking myself, “is this really a Christian book? !” This book started off intense with Jerusalem being invaded by the Roman Empire. And Francine does not beat around the bush when it comes to describing it. I don’t know how accurate her writings are but, I didn’t know so many Jews were crucified and killed in the process! it was quite hard to read. Francine introduces us to Hadassah in these first few pages. Her and her sister are taken by the Empire to be eventually sold as slaves or be taken to the pit to fight. Sadly her sister dies due to starvation. Hadassah is sold to a well to do Roman family, the Valerian’s. Julia Valerian, the daughter of the family, becomes the owner of Hadassah. Soon Julia becomes quickly attracted to Hadassah’s Bible stories and soothing voice. I really liked Hadassah, she was such a sweet woman. She obeyed every command by her owners without complaint. She was devoted to that family and they soon became grateful for it. Her singing and harp playing soothed everyone - especially Decimus (Father and head of household). Then there was Julia. I kind of thought her to be like that girl in Willy Wonka that would continuously say, “I want it now!” She was very spoiled, that is for sure. In the beginning she is betrothed to a older man, Celibus. She absolutely loathes him. She reluctantly agrees to marry him but their marriage is a turmoil and goes wrong quickly. She also meets and befriends a woman named, Celebah. Celebah is no good news. She plays a big part later on in the story. Marcus, son of Decimus is a young man who is at odds with his father. I found Marcus to be lost in sin. He would indulge in bedding various women. Despite his behavior I found him to be a good man. He was just lost and didn’t know where to turn. Atretes, another character in this story (there were a lot of characters in this book!). He was a son of a chieftain in Germania. His village was invaded by the Roman Empire and he was sold as a Gladiator. Whew, Francine knows how to create a setting. Her character development was impeccable and the way she described Rome and the way of life was fascinating. This book must of taken a lot of research - as everything was described so well that I felt like I was there along with the characters. Woah, Woah everyone. This book is not for the lighthearted. The entire book I was basically…. And then other times I was like…. And by the end I was like…. This book was quite intense throughout the entire book. Francine created a world that was beyond amazing. It also frightened me in a way of how she described Roman culture - and how similar it is to our own culture. Hadassah and the reader soon realize how empty the Valerian’s feel. They earn for more and more (money, luxury items, jewels, etc.) but when they achieve that high status and money, they still feel empty inside. They are still searching for something else. Something they can’t get through materialistic items. It’s so eerily familiar with today’s society. Julia - oh Julia. Besides Hadassah I think she was the one that developed the most. I won’t give too much away but I soon despised her for the choices she made. She was most influenced by Celebah. Celebah was an independent woman who chose to live on her own terms. Julia was attracted to this because it’s something she couldn’t have. She earned for independence. I found Celebah to be kind of like Satan. Deterring Julia away from her family and pushing her to a sinful life. Let’s just say Celebah was not a good lady. Speaking of Hadassah. I appalled her for keeping to her faith, which we find out she is Christian not a Jew. She also tried telling the Valarian family all about Christ and how he can the one to save them from their sin and despair. I felt for her when she felt like a failure when her owners didn’t want to convert. Marcus and Hadassah. Their love was doomed from the start. Him being of high status, and her a slave. It would of never worked- for that time period. However, I loved them two together- especially their little fights. But I think through those fights is what established their relationship and feelings for one another. Atretes though a side character, I really enjoyed reading his chapters. He soon became popular with Rome and his kills as a Gladiator. I kind of thought him as Maximus in Gladiator but with blond hair. And then he had to fall for Julia. Why Atretes, WHY?? 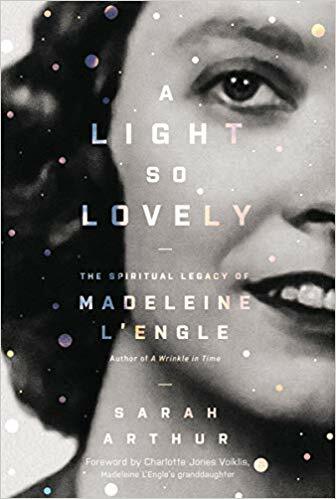 Overall, this book was absolutely phenomenal. This book reminds us of God’s faithfulness and love. As Christians we want to spread the Good News but when others don’t want to follow we sometimes feel like a failure. However, we have to trust in God. Trust that he has plans for that individual. Having faith is everything. Though that can be hard, but through prayer God can help us be patient and kind to those yearning for more. I also think this would make an amazing TV Series. I could definitely see this be translated onto screen. Oh yes. 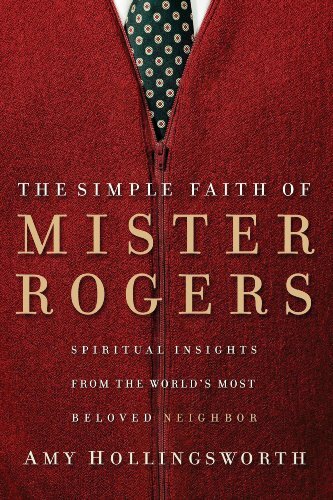 I think this is a Christian classic that everyone should read. However, if you are sensitive to violent or intense situations you might want to pass on this one. Or at least take it slow reading it. Have you read this empowering series? If so share your thoughts on the first book in the comments! 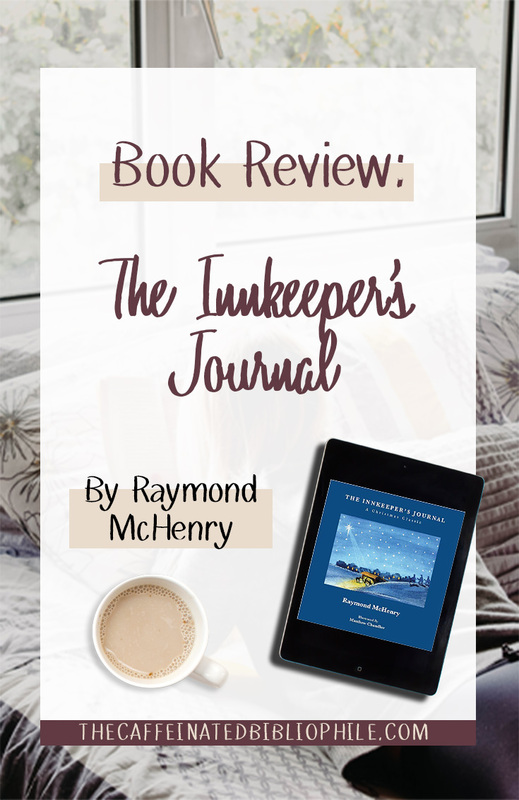 I am so excited to present to you today, an adorable Christmas children’s book - The Innkeeper’s Journal. Below you will find more about the book and a sneak peek of some pages from inside the book. What if the innkeeper's storyline continued long after that unforgettable night in Bethlehem? What if his experience with Jesus helps us better understand the real meaning of Christmas? The Innkeeper's Journal only takes ten minutes to read, but it may permanently change the way you look at the Christmas story. This fictional story builds on Luke's historical footnote and envisions what might have happened if the innkeeper had more than one chance encounter with Christ on that Bethlehem night made famous by every nativity set. What if his entire life was affected more than we've ever imagined? We generally remember the basic details surrounding Jesus' birth, but that common familiarity can hinder our understanding of what Christmas is all about. The innkeeper character McHenry has named Jedidiah allows us to see the greater scope and purpose of Christ's coming to Earth. The layout of this book is easy to read and I appreciated that each page had only a paragraph or two. This is great for kids because they will be able to stay focused on the story. The artwork (painted by Matthew Chandler) is absolutely charming! I love how the artwork is unique and not something I have seen before in Children’s books. And each page has a unique artwork piece by Matthew! Also included in the back of the book are discussion questions and a journal section. This is great for parents who want to discuss the Bible and story with their kids and then journal their thoughts together. When I thought of this, I thought it would be a great way for a child to look back at their journal entries when their older. It will remind them of a time when their parents read to them, and that always make someone feel loved and warm! 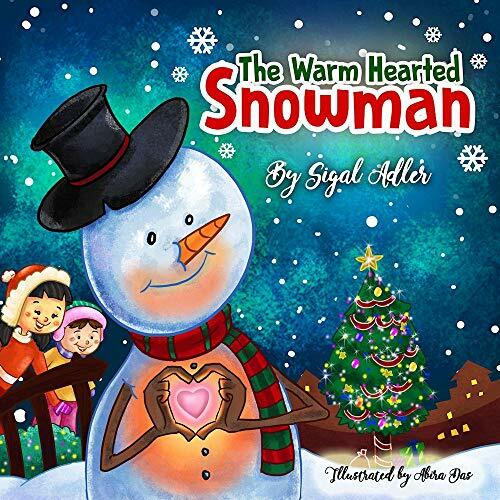 This children’s book is absolutely adorable and the perfect Christmas story for I would say ages 5-8. 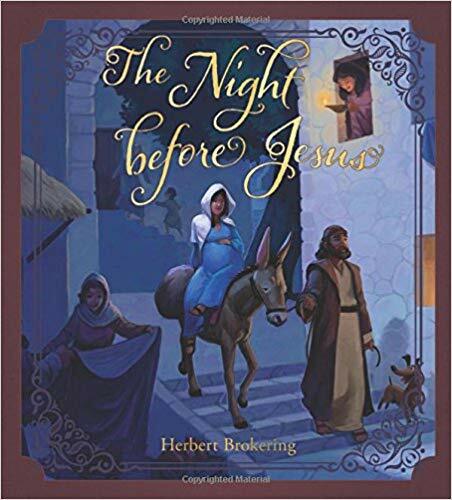 It’s a great way for children to learn more about Jesus’ birth and discuss how it’s important. It’s a way for them to learn the true meaning of Christmas. I love when books can do that! It would also make the perfect gift this season. I think any child who loves to read will absolutely cherish this book. Do you also love reading Children’s books as adults? They always make me smile! NOTE: I was sent a copy of this book to review by the publisher. All opinions and photos are my own.